Summer is just around the corner! 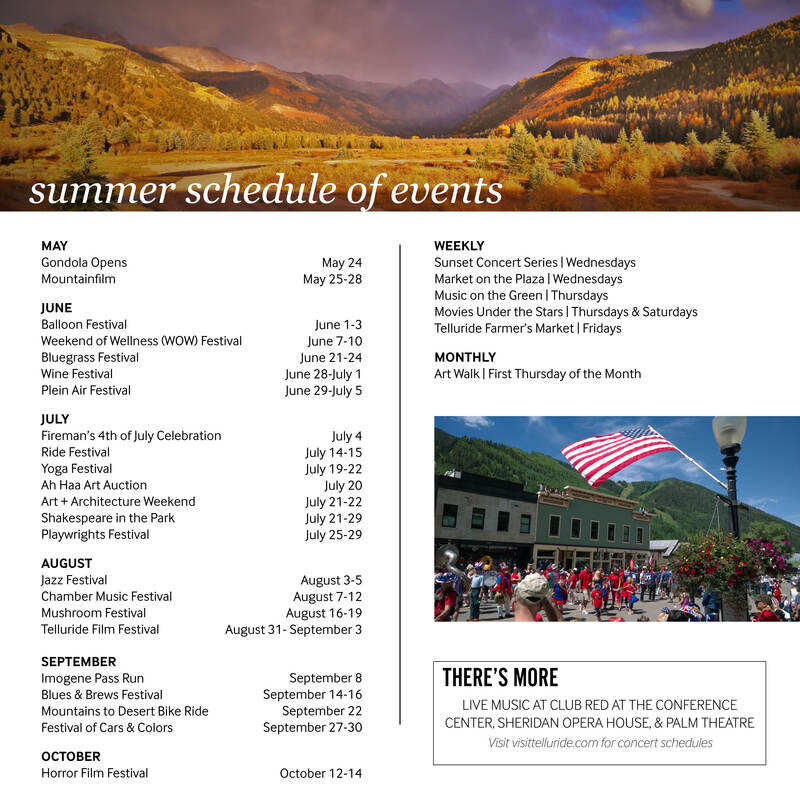 The Telluride events calendar is packed with activities for every age and interest. From iconic musical festivals to farmer's markets to evening family movies under the starts, there's something for everyone.